The Roland Kiyola KF-10 Digital Piano combines a classic playability with refined, modern aesthetics for the home environment. The KF-10 marks a collaboration between Roland and furniture company Karimoku, who have designed be both visually stunning and practical in the modern home. The SuperNATURAL sound modelling responds to the entire motion of your hands on the keys, leading to a similar tonal response to an acoustic piano. 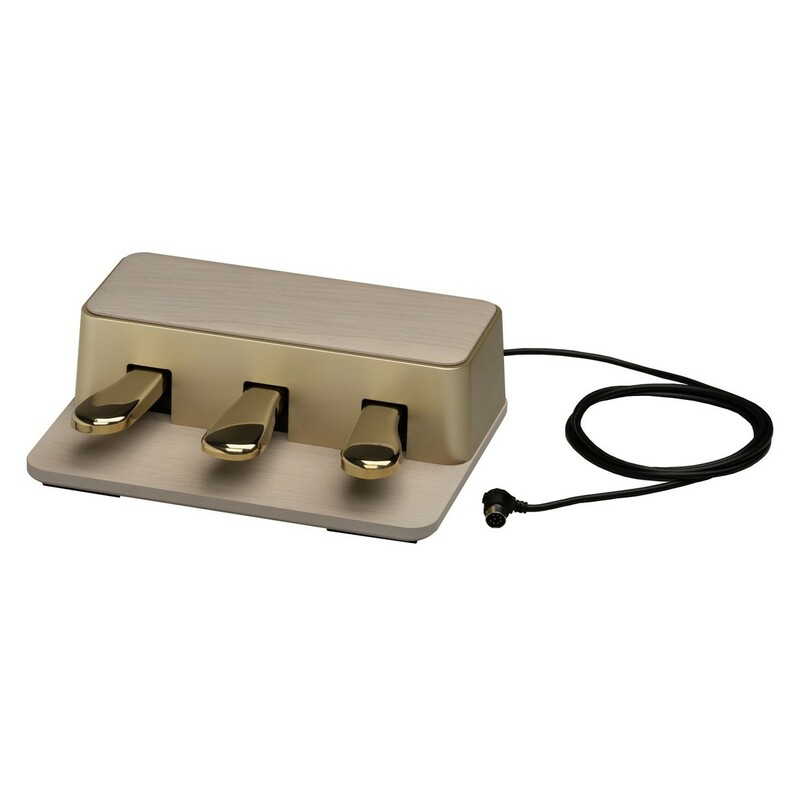 The KF-10's Bluetooth compatibility allows you to connect your smartphone or tablet for apps dedicated to personalising your sound, page turning or to play along with countless online tracks. The keys benefit from ebony/ivory tops and a weighted feel so you can perform with dynamic expression. 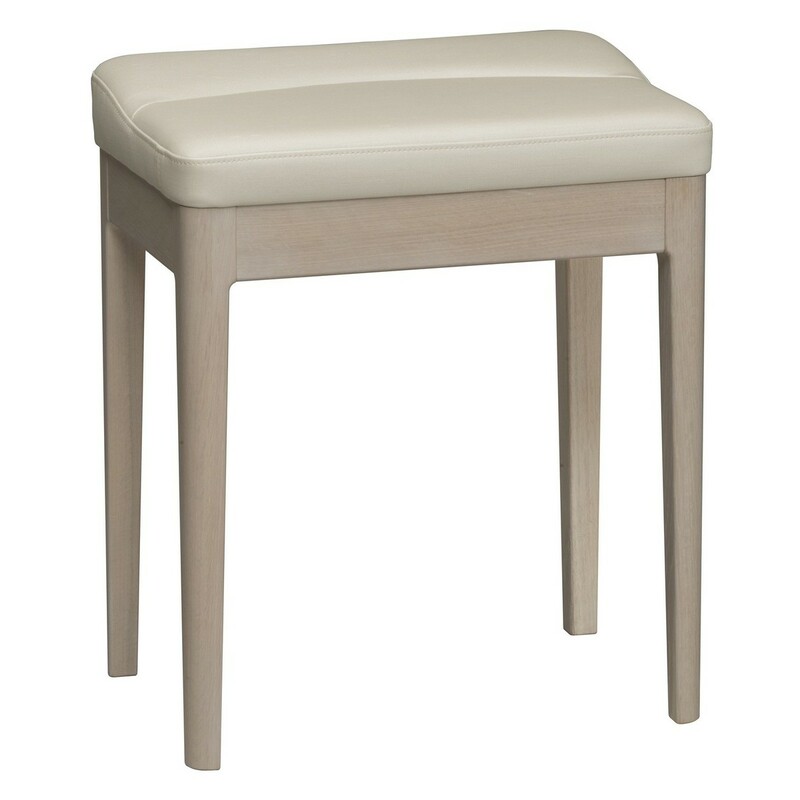 This model's Sheer White finish with matching bench is eye catching for all the right reasons. Since 1940, Karimoku has been Japan’s largest wood furniture maker, producing intricate designs with environmentally friendly methods. 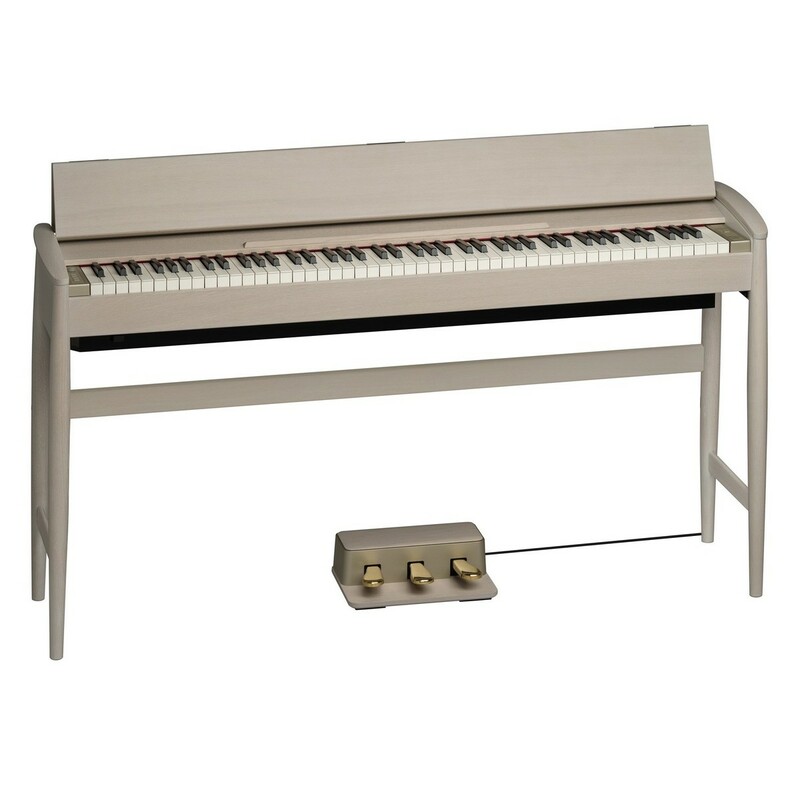 The Roland Kiyola KF-10 is a smart, artisan inspired piano with an all wooden structure. Each KF-10 features a different grain pattern, and the pure oak will age naturally for a truly individual instrument. Although minimalistic in its design, the KF-10 has seen strict attention to detail from hand crafted methods. It’s no wonder that the Kiyola KF-10 received the prestigious Good Design Award for 2015. Roland’s acclaimed SuperNatural sound modelling can also be seen on the popular LX/HP digital pianos. The technology works by picking up detailed interactions between your hands and the keytops for the entire motion, not just the basic contact. This results in each note having texture and character, producing an overall sound similar to an acoustic piano. The Kiyola KF-10 also benefits from Roland’s PHA-50 Keyboard, using wood and a durable inner mould for a familiar feel with long lasting reliability. The touch, sound and responsiveness of Roland digital pianos set them apart from many others on the market. Roland firmly believes that comfortable playing isn’t just about your hands. 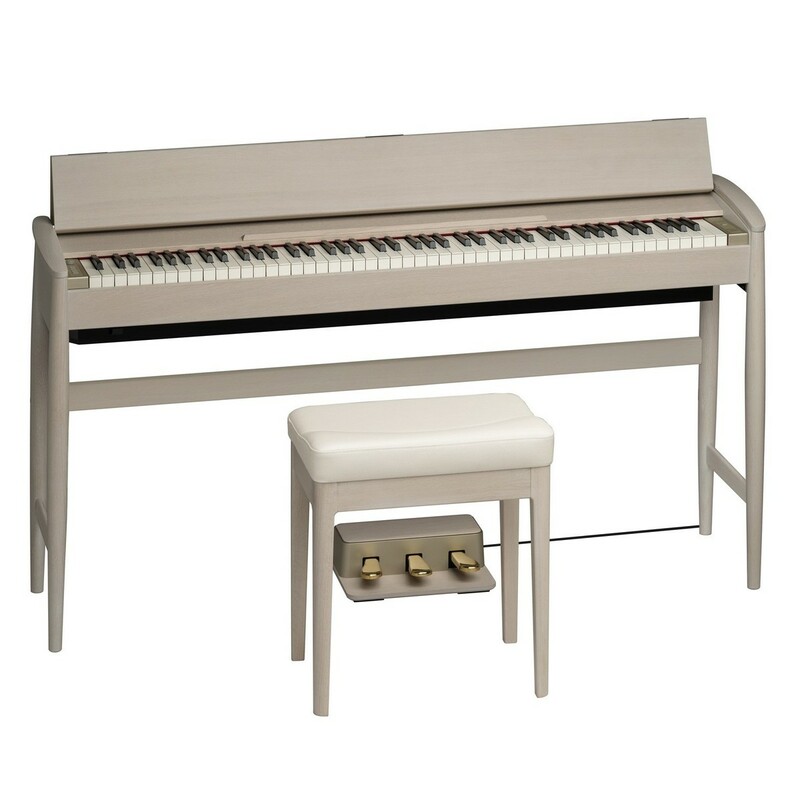 The Kiyola KF-10 features a specially designed stool that perfectly matches your piano and supports your playing. 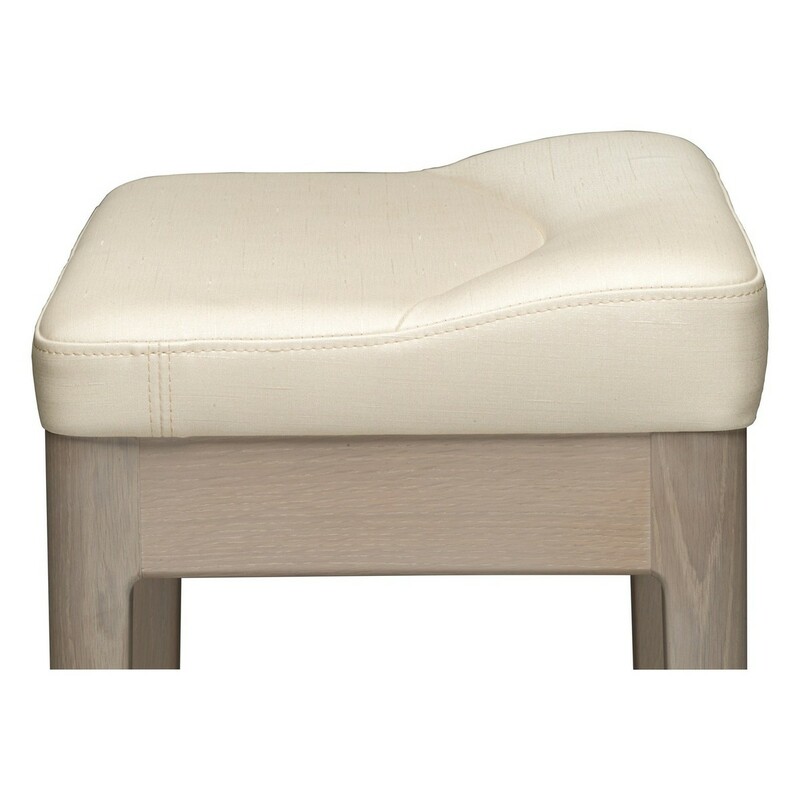 The ergonomic design has an arched shape that assists your posture and a high-density foam cushion for comfort. This means that you can play for hours on your KF-10 without being distracted by any strain.